Having missed the Paris screening, Nico Parker was back on the red carpet for the ‘Dumbo’ London premiere this evening (March 21). 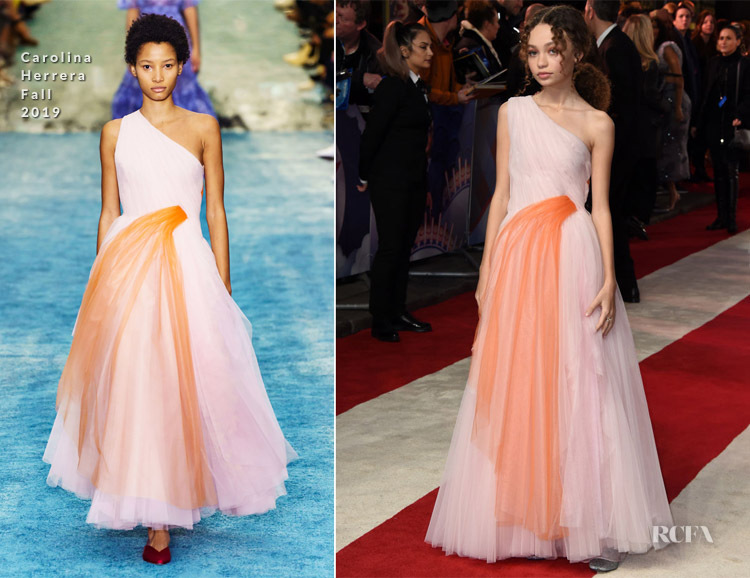 Carolina Herrera’s charming pink and peach Fall 2019 design is everything a 14-year-old would dream of, and Nico is living the dream. Between the voluminous silhouette and heavenly tulle, this gown was made for a Disney movie premiere. The orange drape may throw some, but I love how it adds a touch of modernity and playful flair to the classic princess design. A mismatched pair of Katy Perry Collections ‘The Mayari’ in gunmetal and pink metallic completed her look. 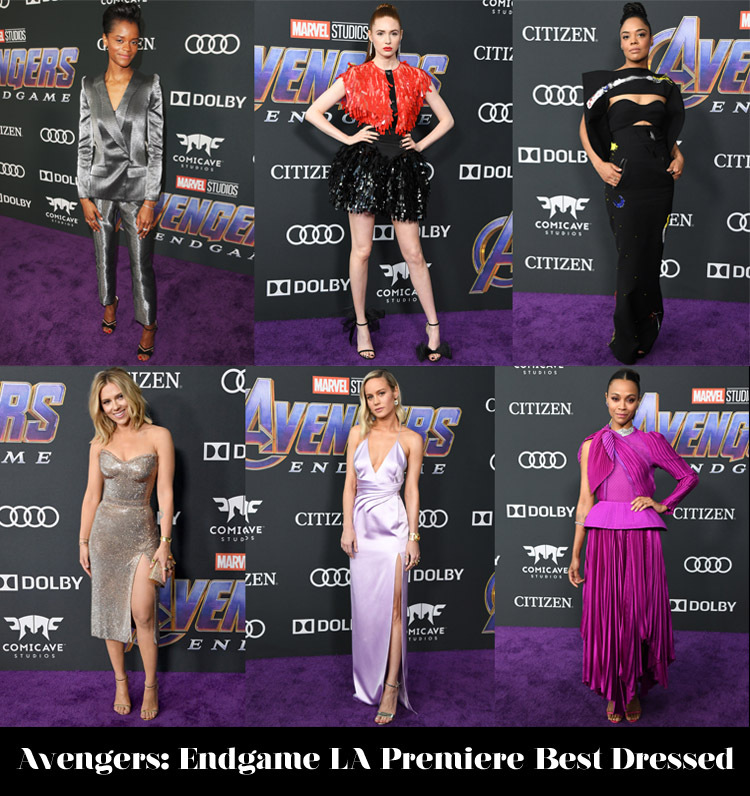 Shall we just name her Best Newcomer and Best Dressed Teen of 2019 now?